Al was a board member of the Grand Beach Cottage Owners Association for 34 years. During this tenure he served as President for 15 years. 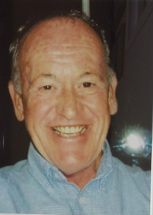 Al was instrumental in acquiring doctor services for the beach; included in his many facets of community club services are liaison officer for Park District and Government Representative 1971-2007. 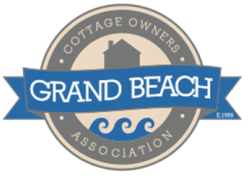 Al has been a tireless spokesperson for Grand Beach Cottage Owners Association. Ray served on the Community Club Executive for 12 years. Two of these years Ray was President of the Community Club. The Provincial government designated Grand Beach a Provincial Park in 1960. Ray served on a committee to meet with government officials regarding Community Club needs. Ray has overseen swimming races, sports day activities, teen drop in activities and bingo night tasks. Dianne is an amazing woman. 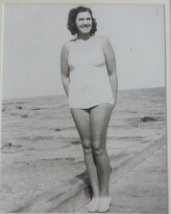 She was instrumental in editing and publishing "The Treasures of Grand Beach" - a cookbook of recipes by Grand Beach residents. Proceeds from the cookbook sales sent to improving the sound quality of the Community Club by installing baffles in the ceiling. An additional project was the used book sale, which is now held twice each summer and has now added a bake sale component. Hec has always been a strong supporter of Grand Beach. He served on the original Grand Beach Community Club executive for eight years, including the role as the original membership Director. He was an integral part of the executive team who built the original Grand Beach Community Club. As owner of the Grand Putt Miniature Golf, Hec was an essential sponsor and donater to the Club. From children's and adult mini golf tournaments to free passes and girfts, Hec was always there with his support. Hec is the originator and still leader of the "Grand Beach Open" fun golf tournament. Starting in 1970 its popularity continues today with local Grand Beach golfers. As of today Hec's tournament has provided over 2700 round of golf entertainment. Robin Boyce served on the Grand Beach Cottage Owners Association executive for eleven years with five years of his service as President. During his tenure as President the community club was leveled by a devastating fire. Robin vowed to stay on as President and take a leadership role ensuring the Club continued on and was rebuilt. By working with government officials, cottage owners and various contractors, he was instrumental in seeing the new club rise from its ashes. During the year of transition Robin kept the club functioning by utilizing a variety of local businesses. 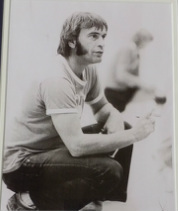 Ron Latter was part of the organization team that created the Sun Run at Grand Beach in 1984. Ron's love of running and fitness were assets in his role as race director of the Sun Run for 16 years. A portion of the Sun Run entry fee is annually contributed towards beach enhancements - benches, boardwalk showers, Spirit Rock Trail and other attractions. The inaugural horseshoe tournament was held in 1962 as a neighborhood event and it has grown to become a Grand Beach / Grand Marais highlight. It was co-convened by Wally Jones and Charlie Sabo. Over the years as many as 300 people have participated and the event was moved to the Grand Marais Community Club with five pitches. The tournament continues to add to the communities enjoyment. Mickey Keating is the founding father of the Legends of Grand Beach. Mickey's family wished to honor his life, recognize the interest he always showed in the history of Grand Beach. The family lent their support to the Legends Philosophy. Thus keeping the past history of people and events pertaining to Grand Beach alive and vibrant. Mickey held court in Rosie's bakery at the same table for many years, where he reminisced about the many facets of Grand Beach in earlier years. Mickey's mission was as an ambassador to the beach. This tradition we wish to follow by now hosting the annual dinner celebrating the people and events contributing to the enhancements of our favorite summer locale. Action and attitude are the hallmark of Alf Phillips. 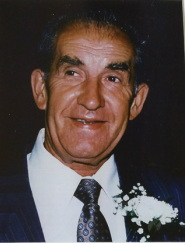 He served as President of the Grand Beach Cottage Owners Association for 8 years. Was also on the board for some 30 years. His strong leadership has generated government assistance for the beach. His vision for the Association is still evident today in his mentoring of the present day executive. In 1988 on the Sunday of the long weekend with really nothing to do, Junior and his friends decided to Lip Sync and incorporated some skits. They held this inside his old cottage using a tanning lamp as a spot light and a cassette or 8-track tape player for music. The following year Junior added a large deck to his cottage and the Lip Sync was moved outdoors. People gathered and what we have now today was born. Donations for charities and the community club are collected annually. His accomplishments included working in the bath house and hotel but the activity and passion for Wez was "beach volleyball." Everyone could play regardless of their skills and Grand Beach volleyball produced players of international caliber. He served on the Grand Beach Campers Association for 6 years, he revitalized sports day and started the father - son baseball games. Wez Bridle - a true Grand Beach Legend. Brian's claim to fame was the inauguration in 1973 of the Grand Beach bike rally. It was a challenge to put clues and places together. The "thundermug" was the prize and with it the challenging job of planning the next years rally. What fun - and its still going after 35 years. So we honor Brian Cassidy as a Grand Beach pioneer. Patricia, the diva of the Grand Beach Lip Sync, has been in more performances on stage during the September long weekend charitable event than she cares to remember. As a board member of the Grand Beach Cottage Owners Association, she was the driving force in getting the outdoor stage built for this and other various community events. 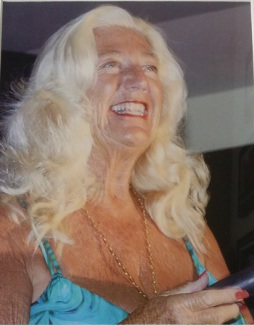 Patricia is the founding member of the Grand Beach Dinner Theatre. She has written, directed and managed the annual dinner theatre since its inception in 2007. The Dinner Theater has become the right of the Grand Beach summer. Thank you Patricia Daly, Grand Beach Legend, for your contributions. 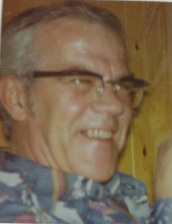 Bill was a founding member of the Grand Beach Community Club and for 12 years (1959 - 1971) was a member of the executive. His executive duties entailed calling BINGO as well as selling cards. Bill supervised the teen dances on Friday and Saturday nights. As sports day chairman, Bill supervised sports day activities; swimming races in the morning and foot races in the afternoon. A pioneer in Community Club activities, he established bench mark programs still flourishing today. Grand Beach sports park in memory of Nick Hill is a family tribute to our legend. 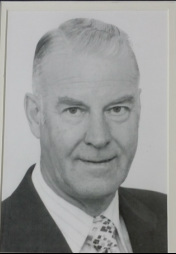 Donald Grand McCannell was one of the founding members of the original Community Club. 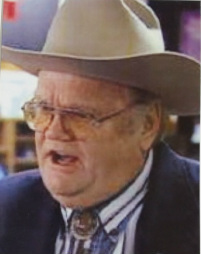 Donald Grand was a club member from 1959 - 1984. As a Community Club Organizer he served as the first auditor, assisted at Bingo, teen dances, and the annual Sports Day. All the activities he supervised ran smoothly. At the beach Donald was active in water activities. He was one of the boat owners who taught the beach kids how to water ski. He also rowed a boat during the long distance swim competition to ensure the event was safe for the swimmers.